A website is more than just an extension of your business. It is the online face of your brand and your company. It represents your position in the industry. Thus if you feel that your website is not easy to navigate and find information or that your competitors' websites are more functional and up to date or that you are not getting enough visitors due to insufficient SEO, then it is time to go in for a website redesign. At Adroitte, an established web redesign company, we specialize in providing customized web redesign services that guarantee to improve the usability, credibility and visual design of your existing website. By providing a better layout, updated content and a more sophisticated appearance we can help you achieve the various business goals that you have in mind. At Adroitte we understand that the most essential goal of website redesign is to ensure that the website's new look and feel generates more leads than the existing website. In order to do so, we use our designs to position your company as a market leader. Customized website redesign aimed at enhancing the look and feel of the existing website with modern technology using web 2.0. The entire website redesign process goes through four critical steps namely, Research, Consultation, Client Approval and Implementation. 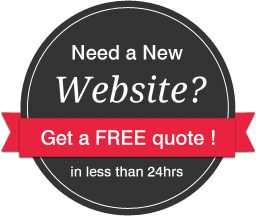 This foolproof process ensures that you are fully satisfied with the new website design. We further provide online and offline support enabling you to discuss any issues that may come up during the website redesign process. Along with redesigning your website our experts also include full meta tags, robot commands, usability guidelines, search engine submission and multi browser compatibility solutions enabling your new website to be more user–friendly and search engine optimized. At Adroitte, our creative team comprises of talented professionals who are some of the best in the industry. When you assign your redesign services to us, you can be sure of not only seeing an improvement in the graphic look but also in the overall usability and reliability of your existing online website. These are the reasons as to why you should choose Adroitte as your web design agency. Contact us with your website redesign requirements today.